It has been a long time since we have been able to give any information or updates about Qurare PS4 and we would like to extend our deepest apologies for the lack of communication these past weeks. 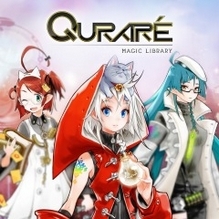 When we launched Qurare for PS4 it was our intention to provide our players with regular updates and exciting content for all users to enjoy. While our dedicated users and fans helped shape a great close-knit community around the game, we were unable to reach a sustainable level for Qurare PS4. As such, we were not able to give it the attention that the game and our players deserve. This has regrettably left Qurare PS4 stagnant and we have not been able to progress with the game as we would have liked. Since we will not be able to address the current bugs or add more content in the foreseeable future, it is with a heavy heart we inform you that Qurare PS4 service will end at the end of August, 2017. 06/30 (Fri) – In-game purchase suspended. – Gems, Gold, and Clover may be used as normal but New Gem purchases will not be available. 08/31 (Thur) – Server closing. We hope that you have enjoyed playing Qurare PS4 as much as we have enjoyed working on it. We thank you for every moment you’ve spent playing with us. and the rest of the Qurare PS4 team. “The first Card Battle RPG to be released on PlayStation®4! You can enjoy numerous dazzling card illustrations and have exciting adventures across many dimensions with charming librarians. You can see more than 1,000 top quality card illustrations from Korea and Japan. Beautiful cards will be kept updated with the live service of the Korean mobile game. Players will find themselves immersed in the vast sea of stories that span multiple dimensions. Also, new content for you to explore will be added every month! All the exquisite Kodices in QURARE have unique skills. Use Kodices with skills that best fit each role in a team, and play multiplayer battles online with your friends!